Can you recall this talented South American footballer,whose career was cut short during FIFA 1994 World Cup, due to his tragic death at the age of 27. Ans. Andreas Escobar of Colombia. Answered correctly by 10 people. 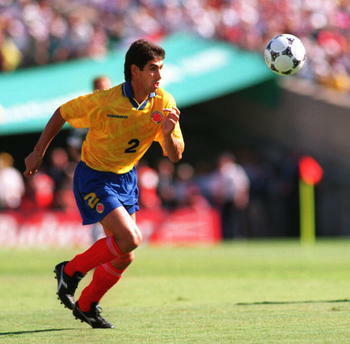 Andres Escobar of Colombia. He was shot allegedly for scoring an own goal..
Andres Escobar of Colmbia, killed by the mafia for an own goal against the US.